Bran Mash: Should it be Given to Horses as a Winter Treat? Should I Feed Bran Mash as a Winter Treat? Learn more about the nutritional merits of bran mash. Bran mash does not have any nutritional or digestive health benefits over other treats – in the winter or summer. 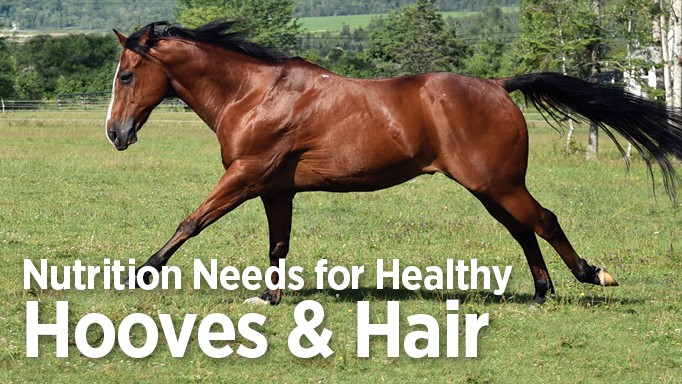 It has been traditionally offered to horses once a week as both a treat and a gentle laxative. Research has shown, however, that bran mash does not technically create a laxative effect, in which it should draw water into the digesta to move things through along. A warm bran mash can give the horse some momentary warmth and some additional fibre and may also be a way to sneak in some additional salt, but so could hay cubes soaked in warm water. 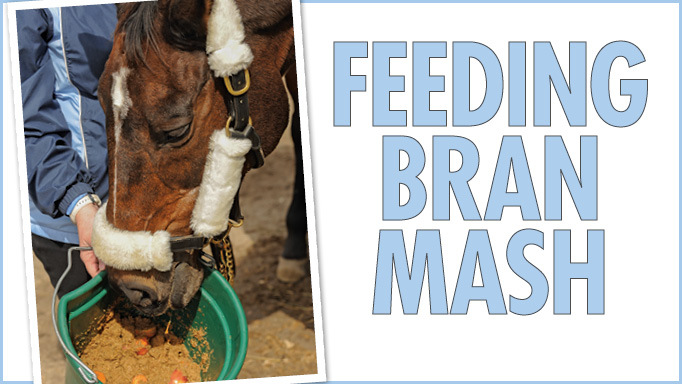 When fed infrequently (such as once a week), bran mash can disrupt the microbial organisms within the horse’s large intestine. These microbes, that build an ecosystem based on the horse’s regular diet, are extremely sensitive to changes in diet and weekly bran mash may, in fact, do more harm than good. The offering of a weekly treat may disrupt the ecosystem enough to cause digestive issues, such as colic. If you want to offer warm bran mash over winter, I would encourage you to do so daily, but with a few precautions. Feeding bran mash daily could be a way to add in some extra calories, fibre and even protein over the winter months, but you may need to watch those calories if you have a horse that is already in good condition and particularly one that is “over conditioned” – aka overweight or fat. The calcium to phosphorus ratio in wheat bran, however, is VERY misbalanced. Ideally, the diet should contain approximately two parts calcium for every one part phosphorus. The Ca:P ratio in wheat bran is closer to 1:6! 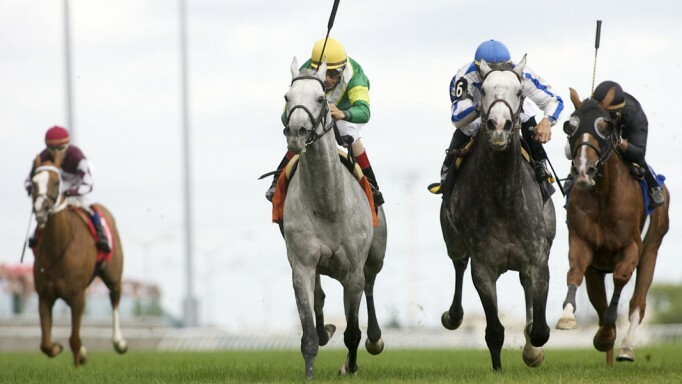 Therefore, it is very important to work with a nutritionist who can recommend some other feeds, or supplemental calcium sources, to bring the Ca:P ratio of your horse’s diet back into balance. So, if you want to add bran to your horse’s diet, do so carefully. If you’re truly looking for a warm treat, you could just use warm water over his daily concentrate (grain or commercial mix), particularly if you’re feeding a pelleted feed (these soak up water well). If you’re just looking for treats, apples and carrots are a time tested favourite and, because they are mostly water, they don’t usually cause many digestive issues. 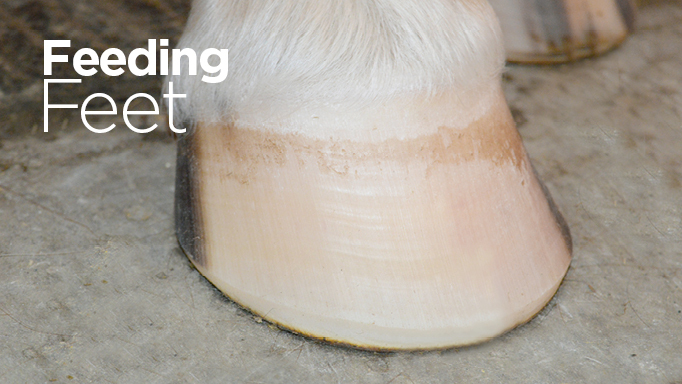 What Can I Feed My Horse to Help Improve His Hoof Quality? 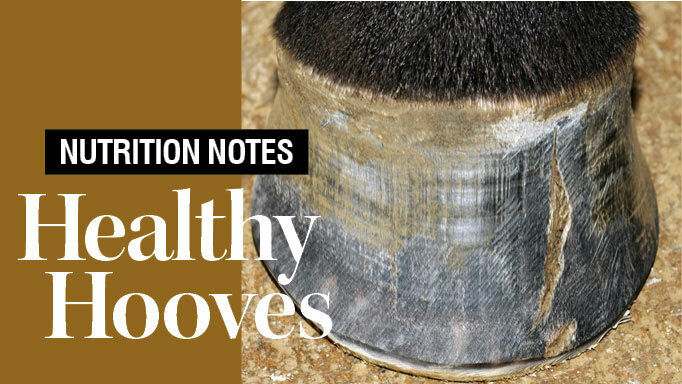 Equine nutritionist Shannon Pratt-Phillips, Ph.D. dishes on feeding for healthy feet.